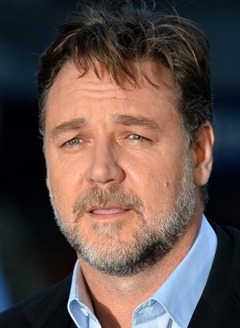 Russell Ira Crowe is an actor, musician and film producer born on 7th April 1964. Although, he is from New Zealand but spend most of his life in Australia and identifies himself as an Australian. As a musician, Crowe began his career in early 1980s under the guidance of his friend Tom Sharplin. He performed under the stage name Russ Le Roq and released various New Zealand singles such as Pier 13 and I Just Want To Be Like Marlon Brando. From 1986 to 1988, Russell was given his first professional role as Eddie/Dr Scott in a production of The Rocky Horror Show. He earned his first film role in the 1990 film The Crossing after starring in the successful television series Neighbours and Living with the Law. In 1992, Crowe appeared in the film Romper Stomper which bestowed him with Australian Film Institute Award for Best Actor. Afterwards, he transitioned into Hollywood and received three consecutive best Academy Award nominations for the films A Beautiful Minds, The Insider and Gladiator. In 2002, Russell won the Best Actor Award for A Beautiful Mind at the BAFTA ceremony, also Screen Actors Guild Award and Golden Globe for the same performance. His other major films included Man of Steel, Noah and Les Miserables. In addition to that, Crowe is a humanitarian and donated huge amount to a Jewish elementary school whose library had been damaged as a result of arson. As for his personal life, Russell Crowe has been married to Australian singer Danielle Spencer since and the couple has two children together. 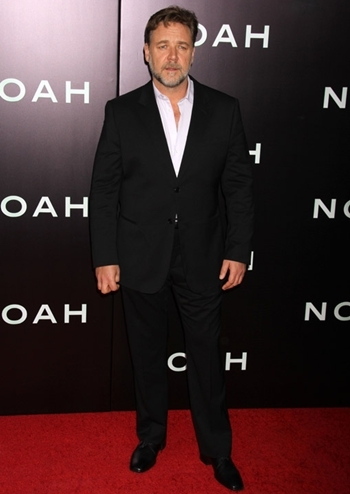 Listed below are the complete actor Russell Crowe body measurements details including his height, weight, chest, waist, biceps and shoe size. Crowe has a special love of horses. Russell was the target of an Al-Qaeda plot. Crowe turned down the part of Wolverine in “X-Men” 2000.